Access to the riser core and other secondary rooms such as service cupboards are the bane of any designer’s life. The most beautiful design can be tarnished by a bank of ugly doors stuck in the middle of it – doors that are only rarely used and create an unwelcome eyesore. The solution is to utilise concealed doors, otherwise known as jib doors. The Quadra and Una riser door systems from Selo are elegant, frameless riser doors which allow you to create a flush seamless finish. 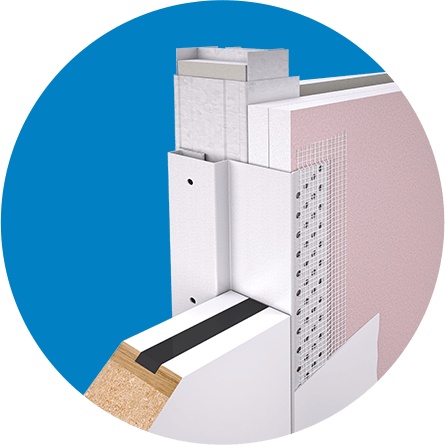 The high performance folded steel frames with an integral perforated plasterbead allow the plaster or tape and jointing compound to be applied up to the edge concealing the door frame and all fixings. Extensive testing has been carried out to cover for all fire and acoustic needs. As such, Selo’s range of concealed riser doors is the most extensive and versatile range on the market to date. providing the perfect riser door system solutions for any application. A very economical solution with fire resistance up to 2 hours whilst maintaining sleek aesthetics. 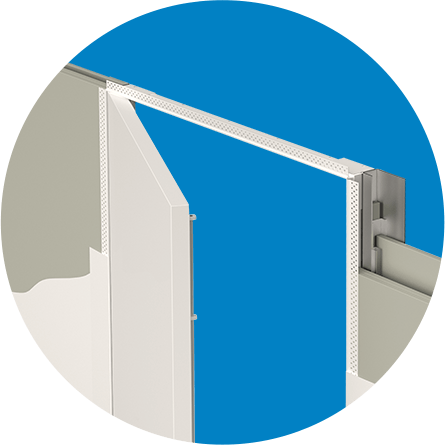 The door leads are hung on a unique quick release pivot system and is supplied with all ironmongery pre-fitted which allows for a swift and simple installation. The Quadra system can be provided in banks of up to 6 doors wide and still maintain 2 hours fire rating, an industry first. Utilising a timber door leaf with a concealed metal frame for situations where you require a timber door leaf rather than metal. Standard handles and locks can also be fitted to match the rest of the project. Fire rating up to 1 hour. 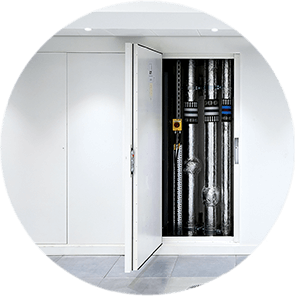 Selo riser door systems are used predominantly in high rise developments, apartments, office developments, hotels, universities and healthcare projects. Take a look at our previous projects and be inspired. Specify Quadra & Una on your next project with our downloadable assets. Download the Quadra & Una product brochure for the full system benefits. View installation videos and download the Quadra & Una pdf guides.